Call to order: Mary Dewey, President, at 12:03 p.m.
A gentleman from the Sunrise Optimist Club came by the meeting today to let us know Don Helmreich’s son Andrew died in a car accident. Don Helmreich is the President of the Sunrise Optimist Club. Glad to see that Jim Beckett and his wife back with us today at the meeting. Ron Berg stated his 60th birthday is 10/23/18. 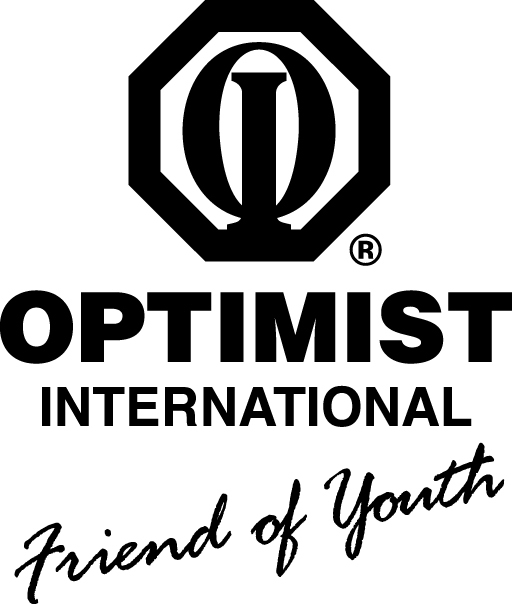 I would like to welcome back Kelly Schilling stated she has been a member of Downtown Optimist for about 1 year. She became interested in Downtown Optimist through the Soap Box Derby program. Her son Owen has recently participated in many Soap Box Derby events, including Madisonville, Kentucky (3rd place), Des Moines, Iowa (2nd place); and participated in two races in Kansas City and one in Nebraska. Owen also participated in in the National Derby Rally Race in July of this year. She has worked with projects with Downtown Optimist previously, and plans to assist with Christmas trees this year. Pat Brown recognized Jack Cruise, previously from Kansas City, due to the KC Chiefs winning yesterday. Sign In or Pay the Pig. All signed in. Mary stated social dues are due now for the 2018-2019 year. President Dewey stated the First Quarter Easter MO District Conference is November 2 and 3, 2018 at the Quality Inn in Festus, MO. Carl Scott and President Dewey are attending the conference. Please let President Dewey know if you wish to attend. Food Bank – Jim Murphy stated they worked with packing chicken nuggets. President Dewey stated the DO Board approved the prices for the Christmas trees this year. The DO Holiday luncheon is set for Monday, December 17 at noon at the DO Clubhouse. Hy-Vee will cater the event. President Dewey added we are still looking for one more Board member. If anyone is interested please let her know. Jim Murphy stated the tree lot clean-up at the DO Clubhouse was this past Saturday, October 20 at 9:00 am. Jim, who organized the group, would like to thank the following members who helped: Pat Brown, Adam Bakos, and Carl Scott. Jim stated the tree stands, drill and table were moved where they need to be. Jim wants to meet at 6:30 tonight at the Clubhouse to determine where to unload the trees when the delivery trucks arrive. CO Scheffer stated the order of supplies arrived last week, including tree tags, bags, etc. The tree stands will be ordered soon. The first delivery of trees will be on 11/10/18 at 10:00 a.m. and 1:00 p.m.
President Dewey reminded members of the upcoming Shrimp Dinner on Tuesday, 10/30/18. . The cost is $10/person. Please pay Larry Fick today if you are going to the Shrimp Dinner. President Dewey reminded members at the Shrimp Dinner we will install our new officers and club members. Steve Winters gave a Koeze Nuts/Restaurant Gift Certificate update. He stated $37,500 has been collected in combined sales of Koeze Nuts/Restaurant Gift as of this date; about $11,000 ahead of last year (last year amount about this date was $26,700). Mary said there is no weekly DO luncheon meeting on Monday, 10/29/18, due to the Shrimp Dinner to be held on Tuesday, 10/30/18. Announcements from the floor. No announcements. Drew Bennett – Outreach and Development Manager, Big Brothers Big Sisters of Central Missouri, a program providing mentoring for kids for 50 years. Drew stated Big Brothers Big Sisters of Central Missouri serves Columbia and Boone, Randolph and Audrain Counties. Drew started the Big Brothers Big Sisters National organization is conducting a logo change – needing a more recognizable logo for their program. There is also a big mentor recruiting campaign occurring this month through mid-November. Emphasis is placed on supporting kids to realize their full potential as a child. Drew spoke about matches (mentors to serve kids) and waiting lists. As of this calendar year to date, this program in Central MO has provided mentor matches for 279 kids. 109 kids are currently on the wait list for matches. About 66% of kids on the wait list are males, and there is a need for more males to serve as mentors. One must be at least 18 years old to be a mentor. The process to become a mentor includes such things as filling out an application, background information obtained, interviews, etc. The program attempts to match mentors with kids based on goals that have been set for the child, in order to help the child reach these identified goals. Drew added that it has been shown that matches with mentors need to last at least a year for best outcomes. Throughout the duration of the mentorship matching Big Brothers Big Sisters provides monitoring and assistance to ensure everything is working best to serve the child. A good mentor schedule is about 2-3 hours/day, 2-3 days/week. Kids are typically referred to Big Brothers Big Sisters through their parent/guardian or grandparents. There has been a zero percent drop-out rate for kids in this program this year. There has been in increase in the number of events for kids and mentors in this program. Most recently there was a back-to-school event, for example, where a construction company donated school supplies for kids in the program. Adjourn with the Creed: 12:53 p.m.